In what is rather surprising news, China and Thailand have finally agreed to build the first 250km phase of Thailand’s high-speed railway, a deal that Thailand’s Prime Minister claimed was ‘off’ in March. After numerous months of back and forth negotiations over the pricing, the final amount has been disclosed as $5.2 billion. 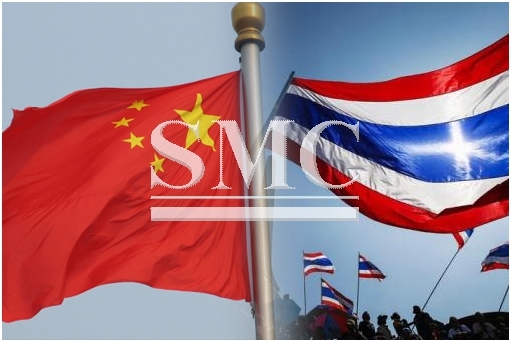 The deal will see more Chinese tourists and manufactured goods into Thailand, whilst Thailand will be using it as an opportunity to export more agricultural goods to China. In addition to what appeared to be endless negotiations of pricing, there were also disagreements over the investment-sharing, interest to be paid back on Chinese loans and the rights to develop along what is going to be an 845km line. The initial phase of the line is going to link Bangkok and Nokorn Ratchisima and the project is due to begin at the end of this year, the project when finalized will have connected the high-speed standard gauge link between Kuala Lumpur and Singapore, thereby completing the backbone of southeast Asia’s 21st-century transport infrastructure. The efficiency of transportation in East-Asia upon completion is going to be remarkable.